One of the biggest announcements at E3 2018 was no doubt the fact that Bethesda will be releasing a new Elder Scrolls game. This announcement came out of the blue as nobody expected Bethesda to announce The Elder Scrolls VI, as the RPG did not seem to be part of the company’s current plans prior to the E3 announcement, an announcement which surely left many long-time fans of the series speechless last week. However, this was not like The Elder Scrolls V: Skyrim’s reveal back in early 2011. For one thing, Bethesda did not announce a release date this time, while Skyrim’s launch date was already set in stone back then (the well-known 11-11-11 date, which many Elders Scrolls fans no doubt still remember). Also, the absence of a subtitle is conspicuous here. Back in 2011, we already knew that Elder Scrolls 5 would be set in Skyrim, the icy-cold home of the Nords, while Bethesda might not yet know where part 6 is going to take place… Possibilities include Black Marsh (home of the Argonians, a reptile-like race featured in the game’s fantasy world), or Elsweyr, a desertic province where the Khajiit (a feline race) reside. These two regions have not yet been covered in a major Elder Scrolls game to date, and therefore could be possible settings for the next entry in the series. The thing is, all this points out to the fact that Bethesda might only be getting started with The Elder Scrolls VI, something which the company’s game director Todd Howard confirmed in an interview with gaming outlet GameSpot. “It’s in the concept and design [phase]”, the Bethesda man said, adding that he already has a release date in mind, but would be “foolish” to reveal it now. This means other games in Betheda’s portfolio might have higher priority right now, and indeed Todd Howard did confirm that both Fallout 76 and Starfield will be launching before the next Elder Scrolls game. Fallout 76 was announced a little before E3 2018, and is the next instalment in the wildly popular Fallout franchise. The last big game in the series was 2015’s Fallout 4. Unlike that game, though, this won’t be a traditional single player RPG, but rather an online multiplayer survival game set in the familiar post-apocalyptic Fallout universe. It remains to be seen then, whether this will have the same appeal and quality as the earlier games in the series, with Bethesda going full-on multiplayer and likely aiming for a game in the vein of titles like DayZ. Fallout 76 is scheduled to launch on November 14 this year, and after this Bethesda is aiming to deliver Starfield, it’s first original franchise game in over a decade. Not much is known about Starfield, and the game doesn’t have a release date yet. 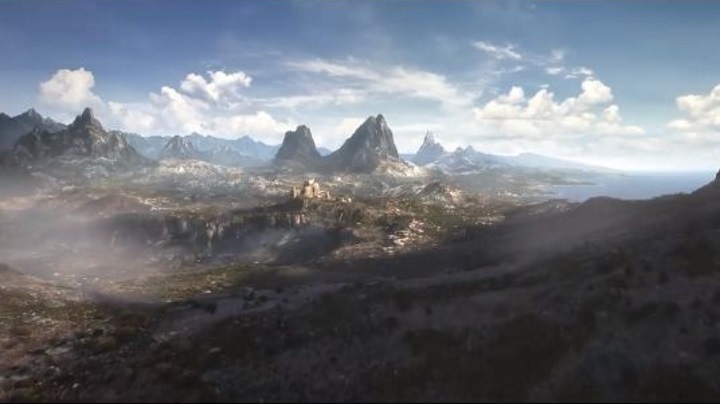 The E3 trailer above certainly looks pretty though, and given Bethesda’s reputation for releasing quality games this will likely turn out to be one exciting sci-fi role-playing game when it hits shelves in the future. But given that in a recent interview Bethesda’s game director Todd Howard admitted Starfield might not be released for current-gen consoles, and that his team might wait for the next generation of machines, means both Starfield and The Elder Scrolls VI might still be a long way off. Hopefully though, The Elder Scrolls VI will be a grand, open-world adventure just like Skyrim was, a game which arguably is the best role-playing game ever made. It would be a great thing then, if we did not have to wait too long for the next instalment of Bethesda’s fantasy series, and that the company’s upcoming games like Fallout 76 do live up to expectations when they are released in the coming months too.